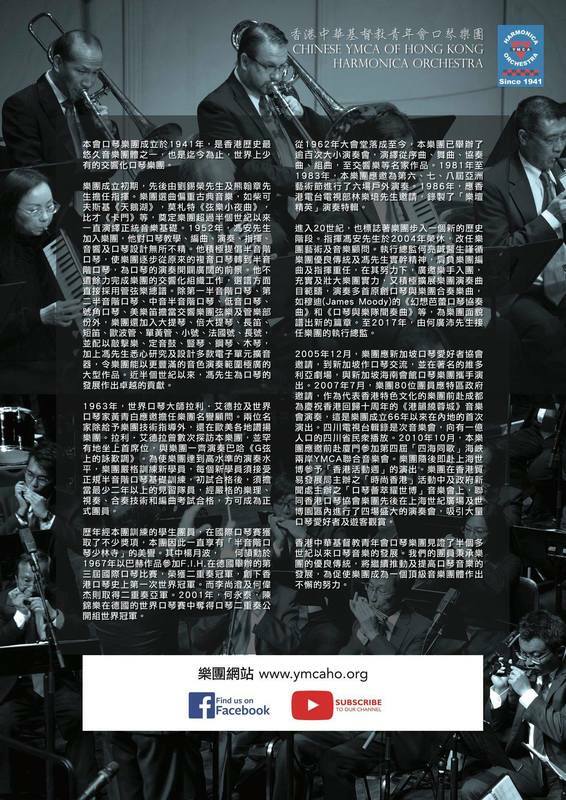 A company limited by guarantee without a share capital formed and registered under the Companies Ordinance (Chapter 622 <Previously 32>, Laws of HK). 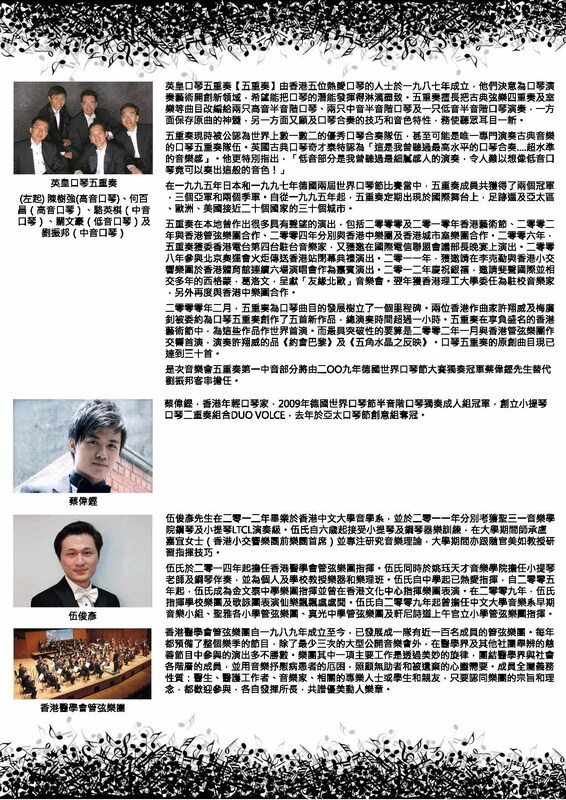 Status of tax exempt approved charitable institution under Section 88 of the Inland Revenue Ordinance (Chapter 112, Laws of HK). 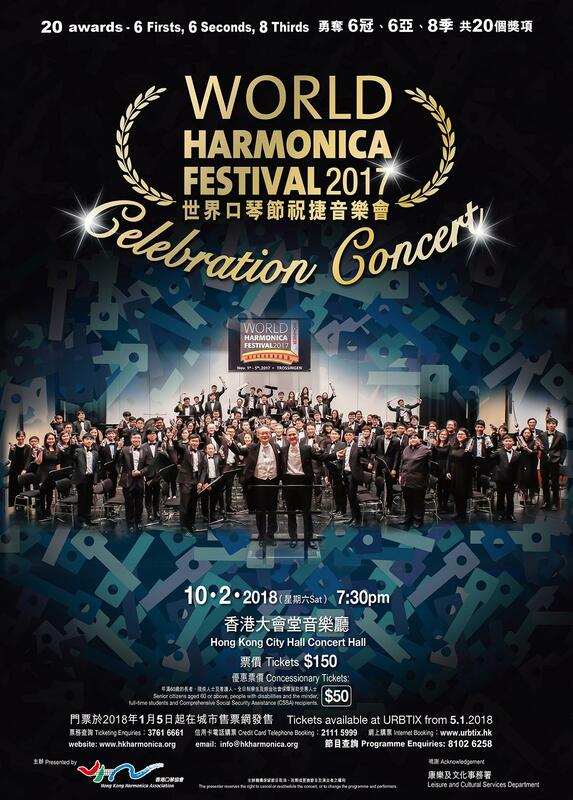 The Hong Kong Harmonica Association (HKHA) led a delegation of over 130 people to participate in the 12th Asia Pacific Harmonica Festival held in Beijing, China from 3 August to 8 August. 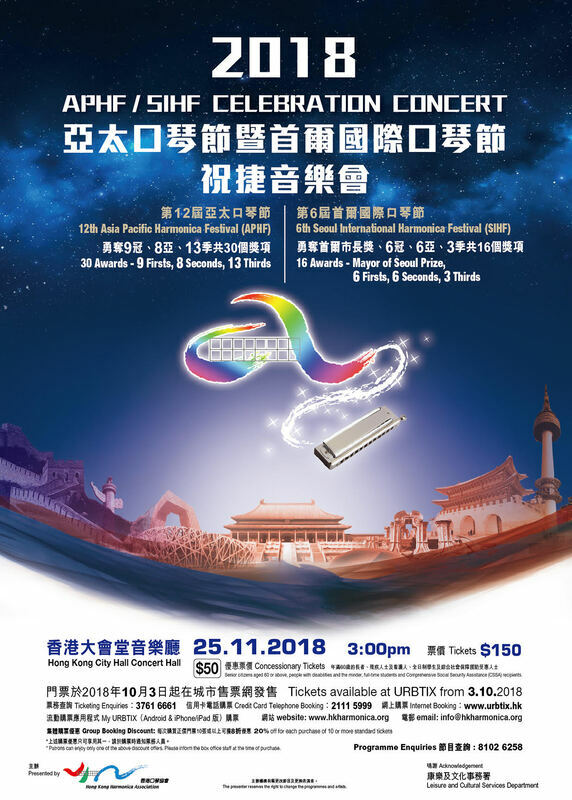 In this biennial prestigious harmonica event, the Hong Kong delegation broke its record again by winning 30 awards in various categories, including 9 Champions, 8 First Runners-up and 13 Second Runners-up. 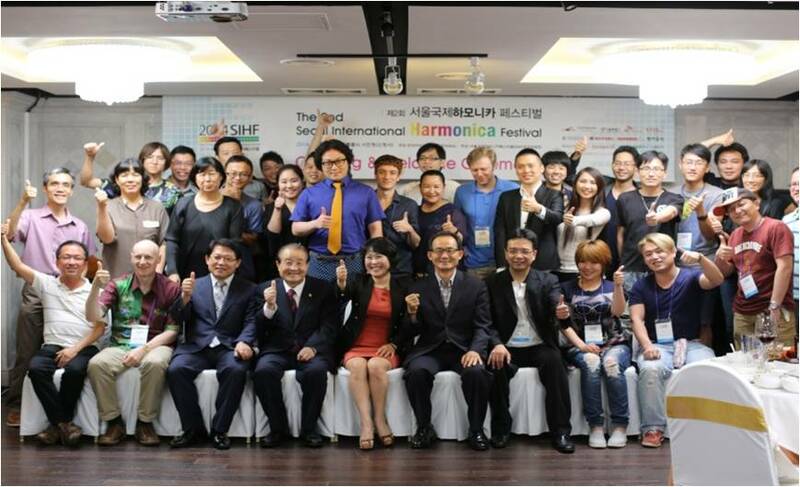 Concurrently in Seoul, over 70 Hong Kong harmonica enthusiasts have attended the 6th Seoul International Harmonica Festival with flying colours, winning a total of 16 awards, including the reputable Mayor of Seoul Prize. 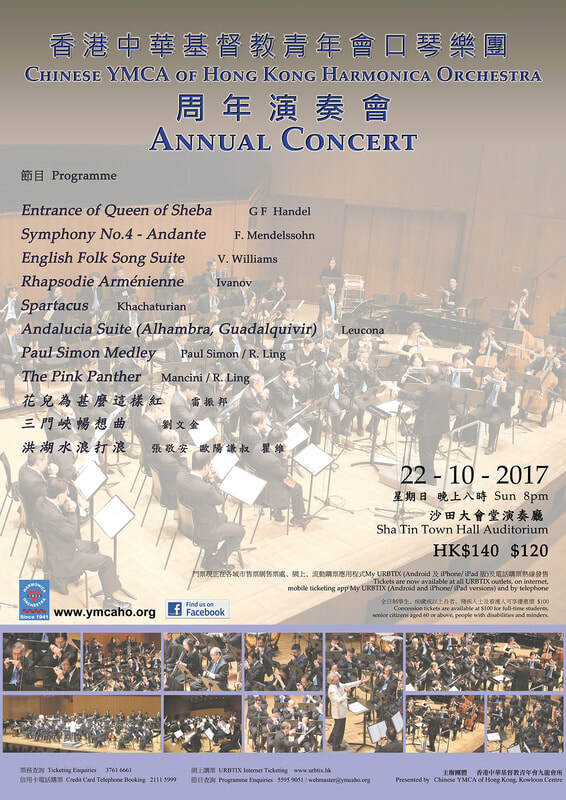 In this celebration concert, you will enjoy not only the selections from the award-winning pieces but also the featured pieces performed by the HKHA Orchestra in Beijing, China. 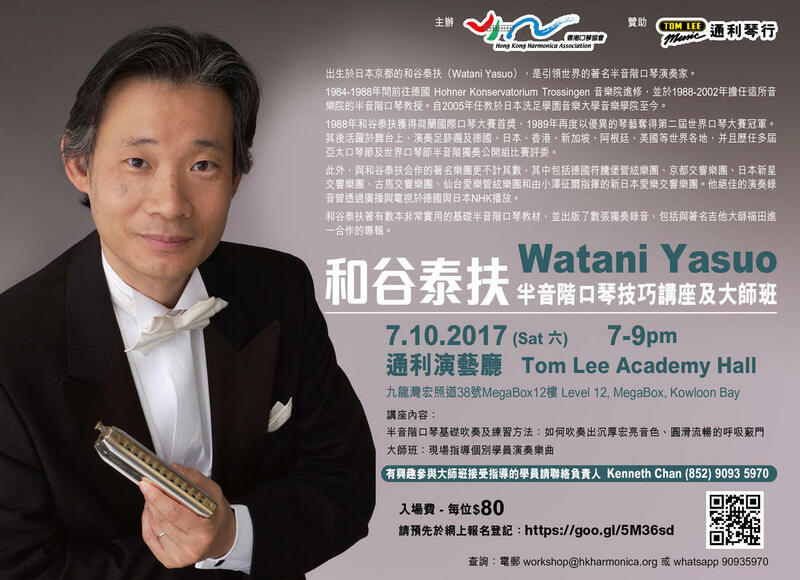 Do come to our celebration concert and experience the wonder of harmonica music with us! 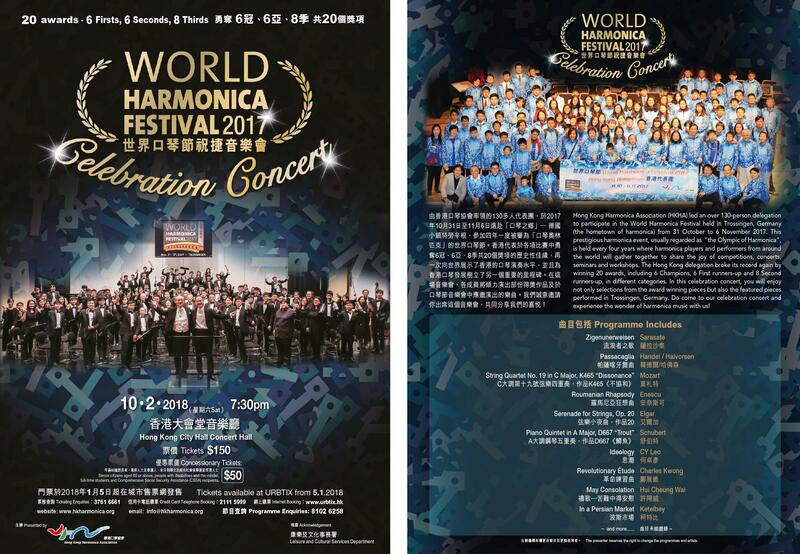 Hong Kong Harmonica Association is presenting selected winners of the World Harmonica Festival (WHF) 2017 in Concert Hall, Hong Kong City Hall together with invited guests. 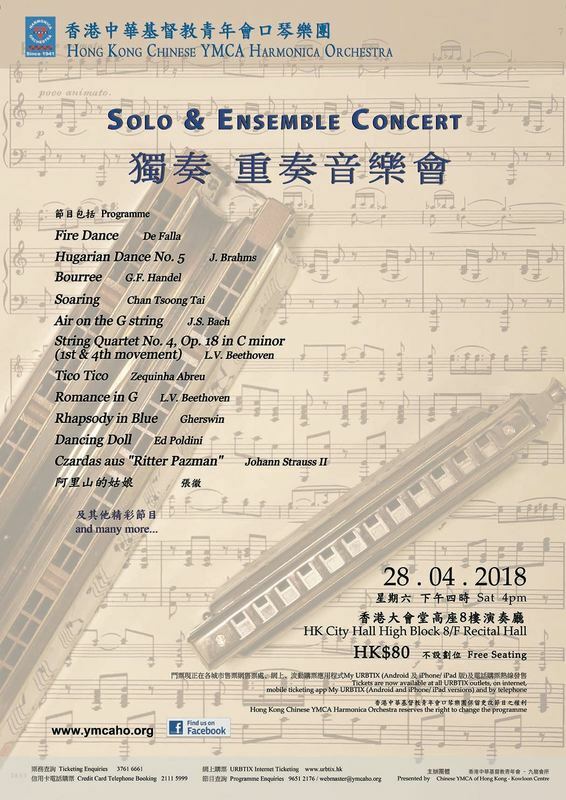 The programme covers light to serious classics, original to arranged harmonica music, solo, group and orchestral works. 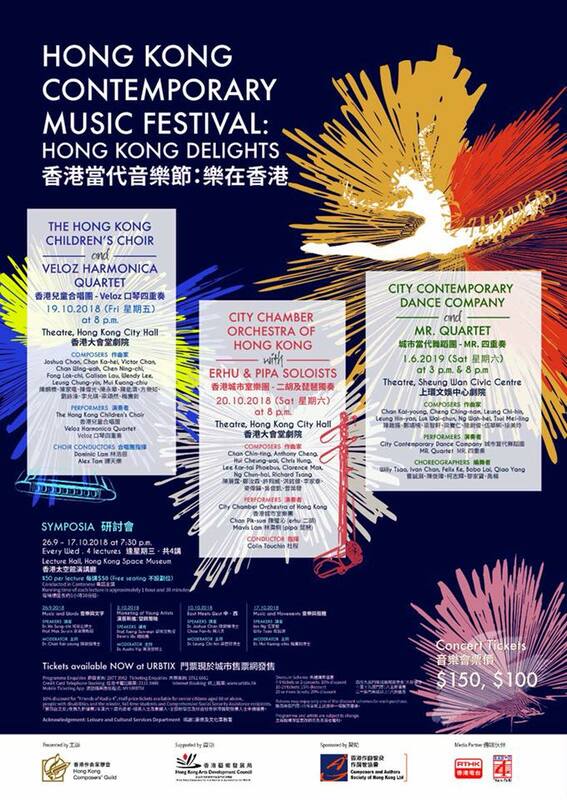 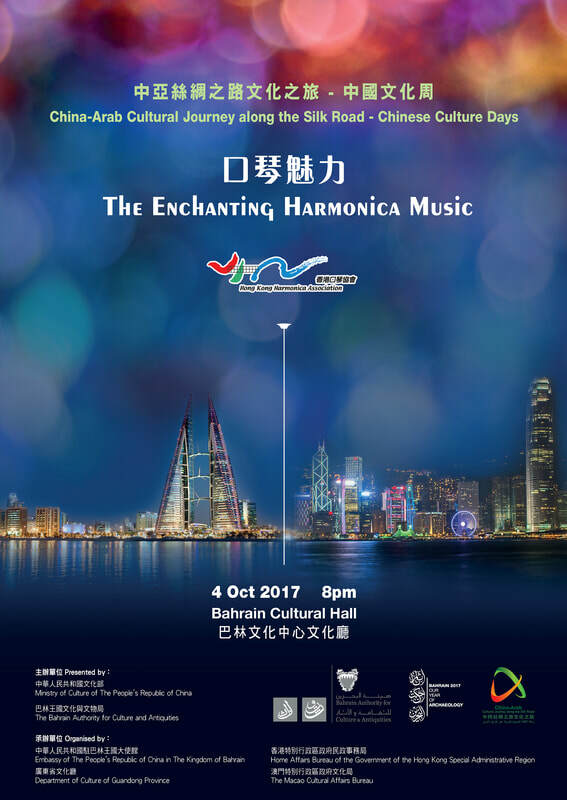 The Hong Kong Harmonica Association Orchestra is invited by the Ministry of Culture of the People's Republic of China through the Leisure and Cultural Services Department of the HKSAR to perform in a concert "Enchanting Harmonica Music" at Bahrain Cultural Hall on 4th October 2017 in the Kingdom of Bahrain for a cultural exchange. 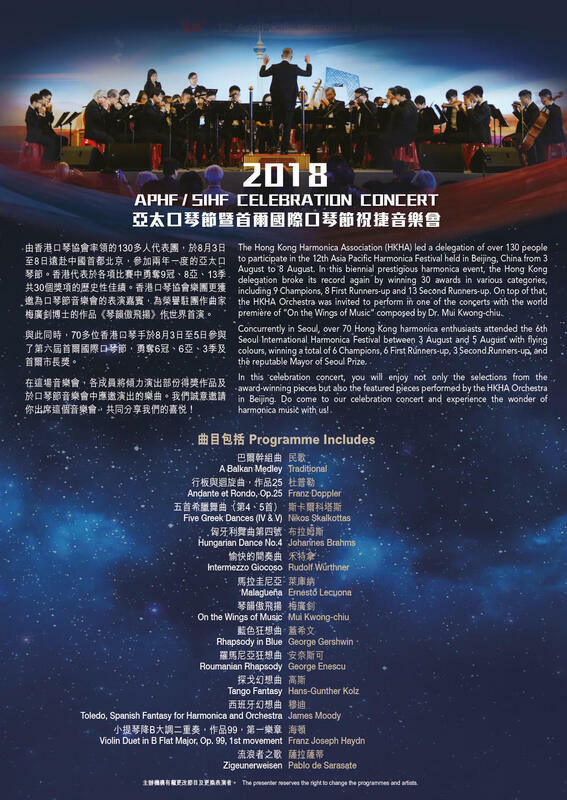 The concert is part of the "China-Arab Cultural Journey along the Silk Road - Chinese Culture Days" organized by Bahrain and the People’s Republic of China. 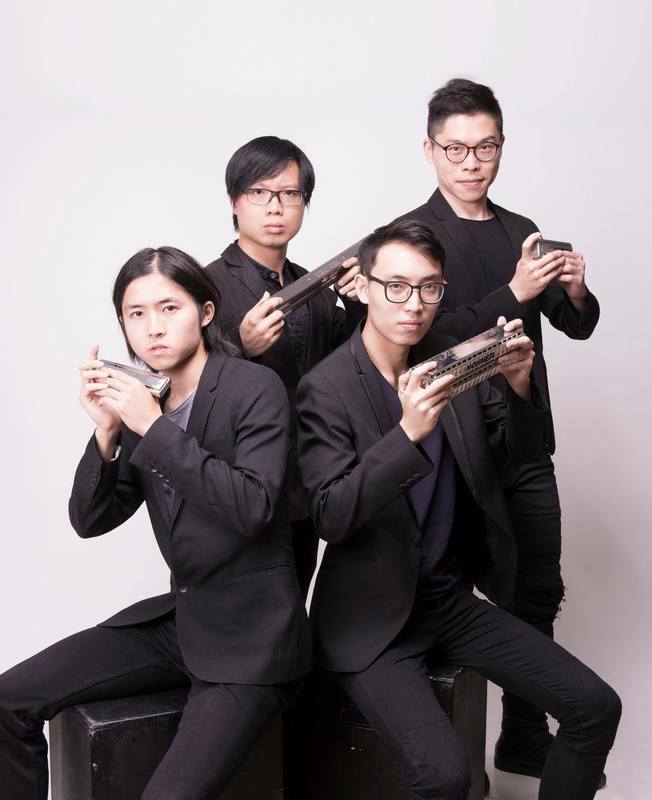 ​2017 marks the 30th anniversary of King's Harmonica Quintet. 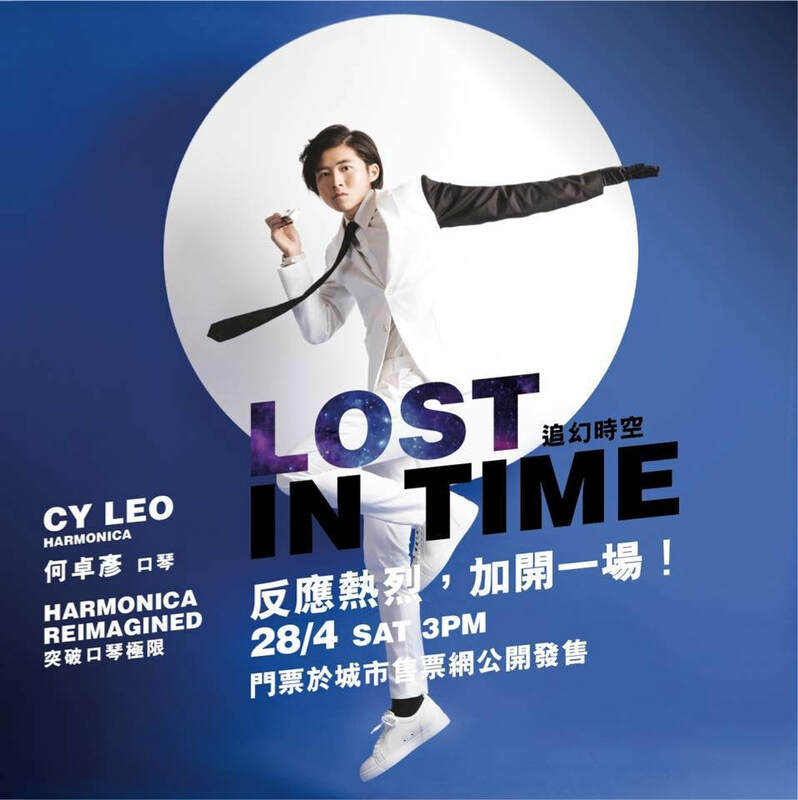 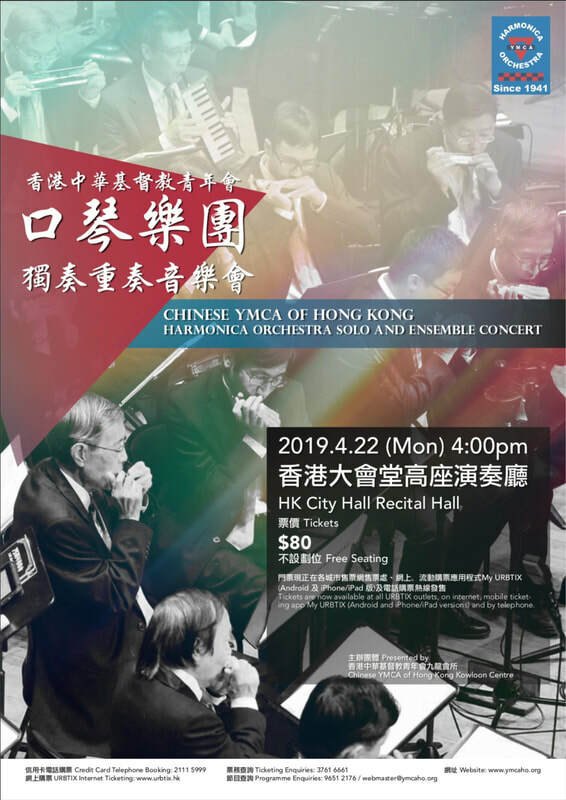 To celebrate this milestone, they have great pleasure to collaborate with the Hong Kong Medical Association Orchestra to present works for harmonica quintet and orchestra. 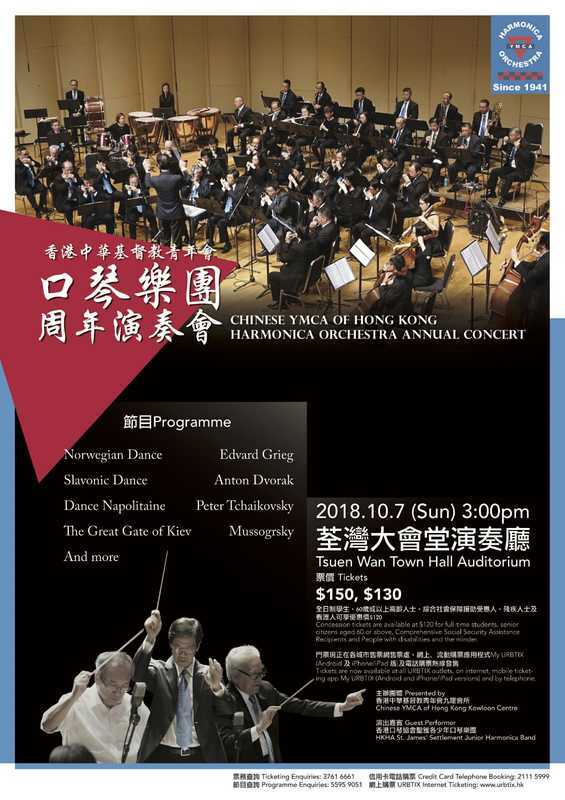 - world premiere of the harmonica quintet and orchestra version of Enesco's Romanian Rhapsody No.1 arranged by Anthony Cheng. 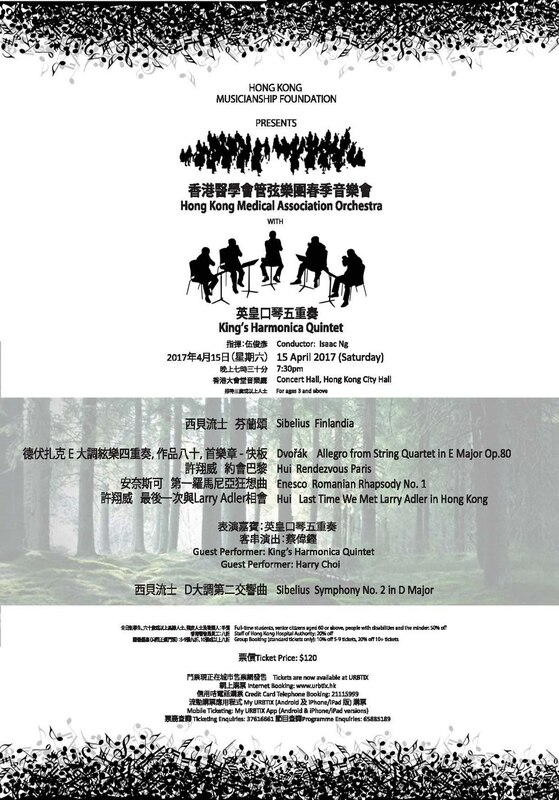 Besides, they will also play the first movement of Dvorak's String Quartet in E Major Op.80. 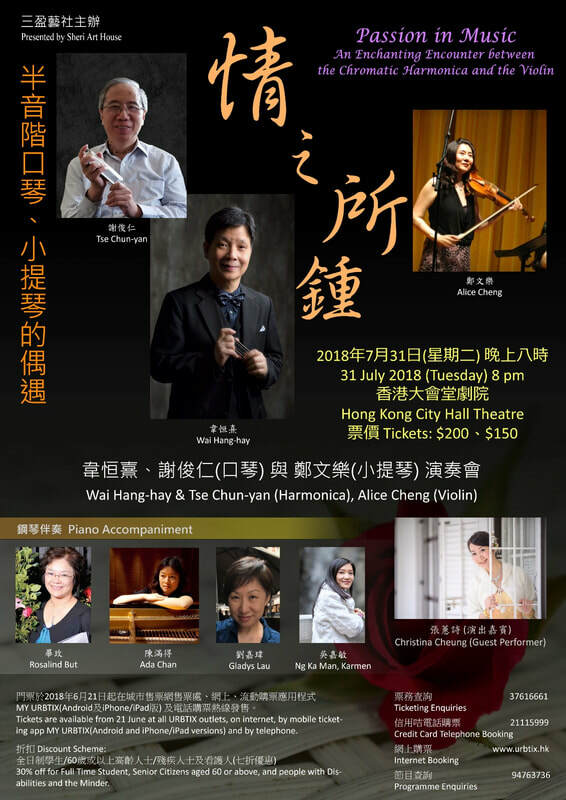 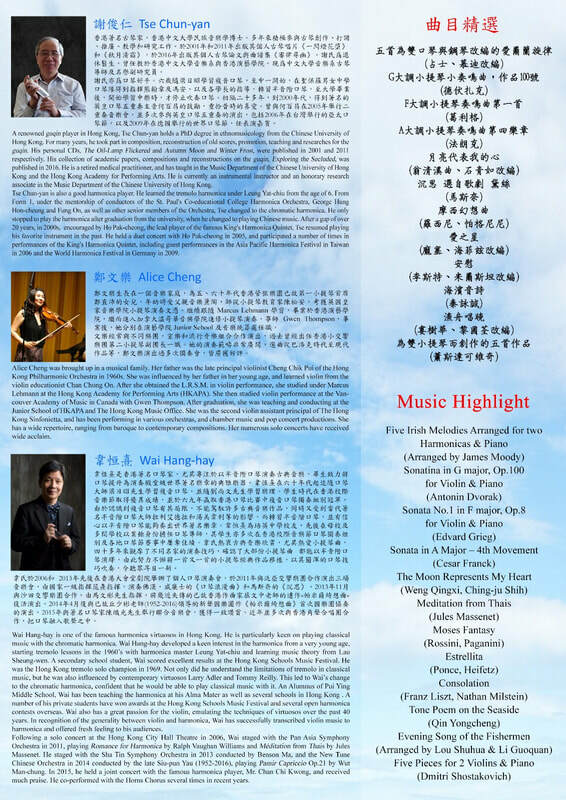 In this concert, Mr. Harry Choi will replace Lau Chun Bong. 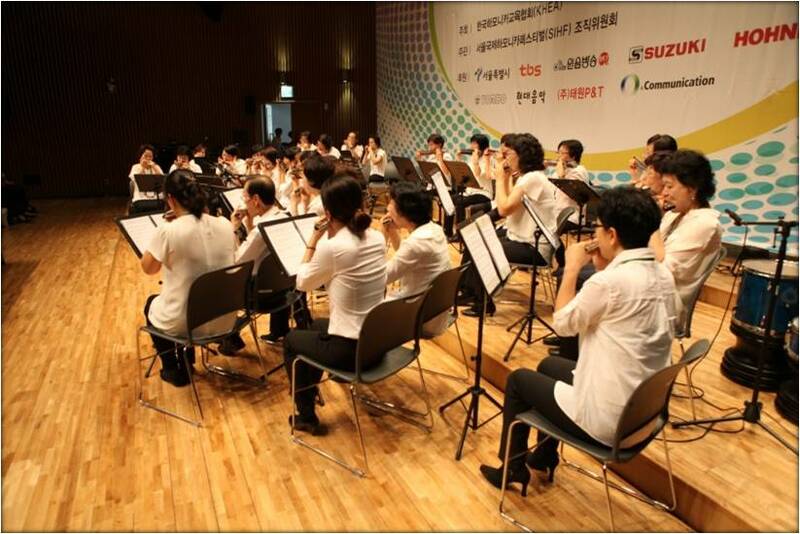 Harry was the champion in the chromatic harmonica solo competition in the 2009 World Harmonica Festival.